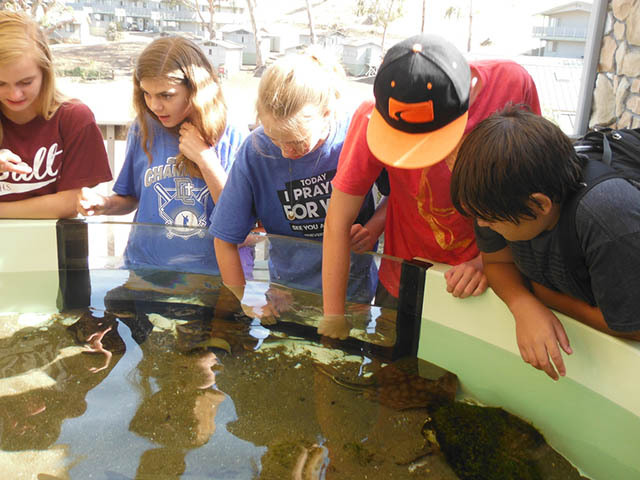 When teachers bring their students to science camp at Mountain and Sea Adventures, they are giving them the opportunity to explore sides of themselves they have never known about, to develop various altruistic character traits, and to build high self-esteem by overcoming fears and challenges. The central theme and core character trait that the MSA staff is constantly imparting to campers is to rise above your fears and inhibitions, and take a leap of courage. Campers are continually being reminded to discern between rational and irrational fears, and to not allow our fears to control our lives. Fear is natural, but rather than giving in to fear and allowing it to dictate our lives, the MSA staff models and guides youth to face their challenges and take command. Perseverance – Never Give Up! Perseverance is the second character trait we focus on during the campers time at camp. 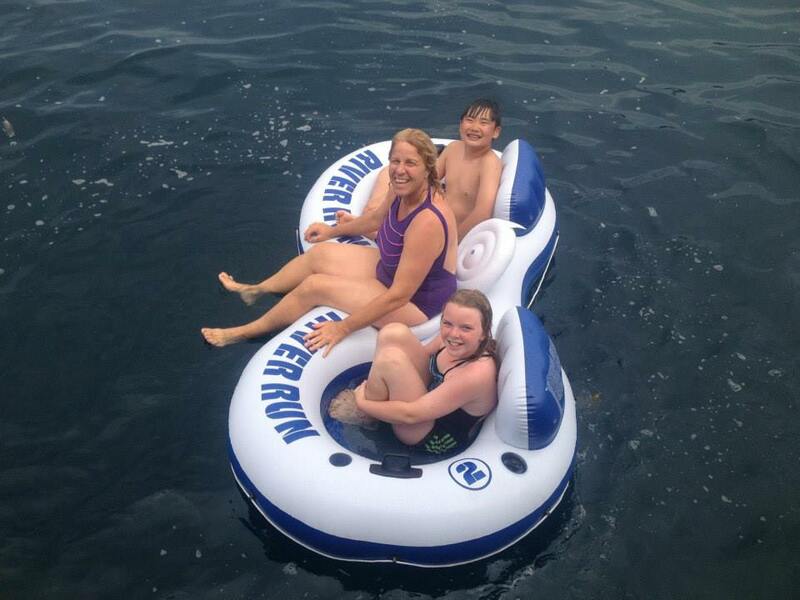 During this time, campers are given the opportunity to try many outdoor activities that they may be hesitant to try. 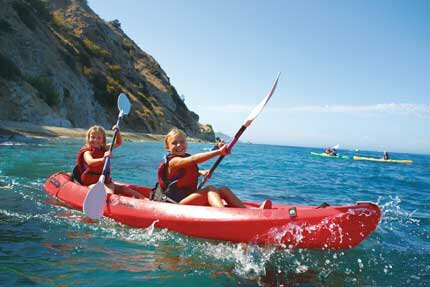 Activities such as snorkeling, kayaking and going down the zip-line all take youth to the edge of their comfort zone, and beyond. Upon proving to themselves that they can achieve what they previously thought they couldn’t, they receive a boost of self confidence and their self esteem is strengthened. Some of the activities are straining and present a challenge, during these times of challenge the students are encouraged by the MSA staff to persevere and focus on their objective. 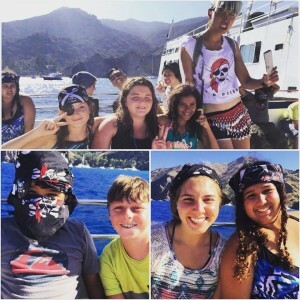 From the moment students step off the ferry and arrive to camp at Emerald Bay, Catalina, they begin to experience the natural beauty of one of the largest ecological preserve islands in the world. 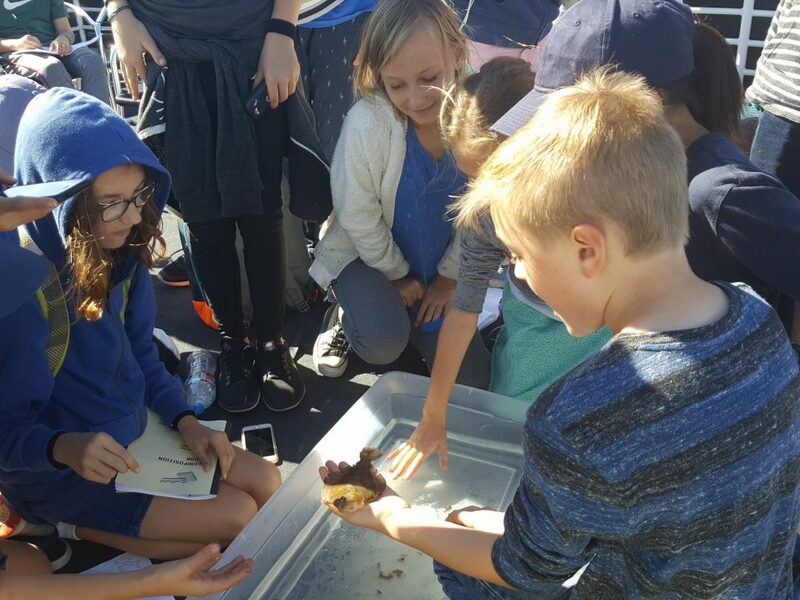 We encourage the students to become increasingly more and more aware of their surroundings, and to appreciate the precious resource that is the ocean environment. 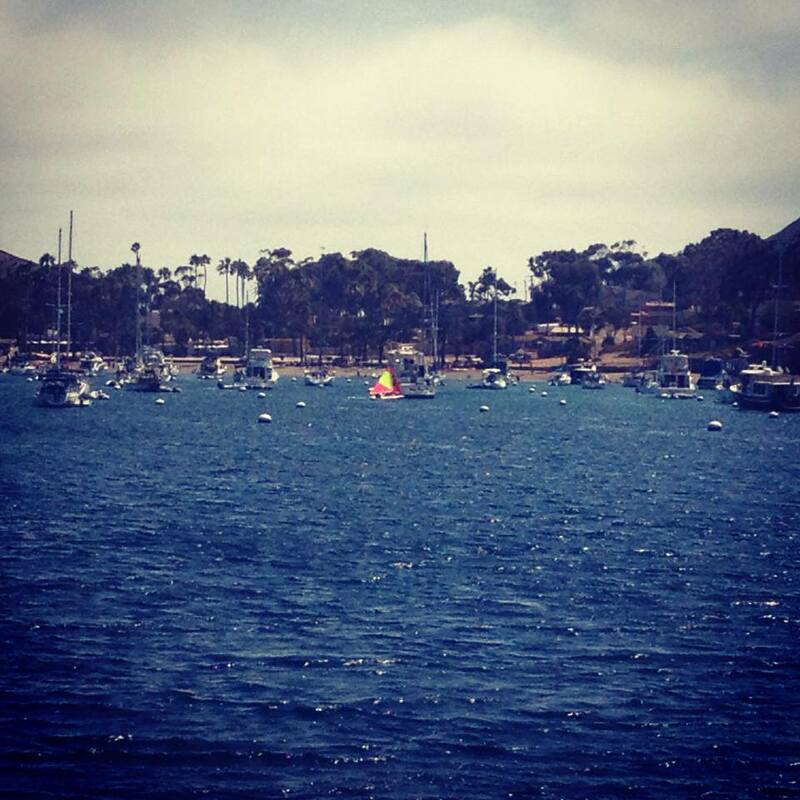 MSA provides youth with first-hand experiences of the ocean. 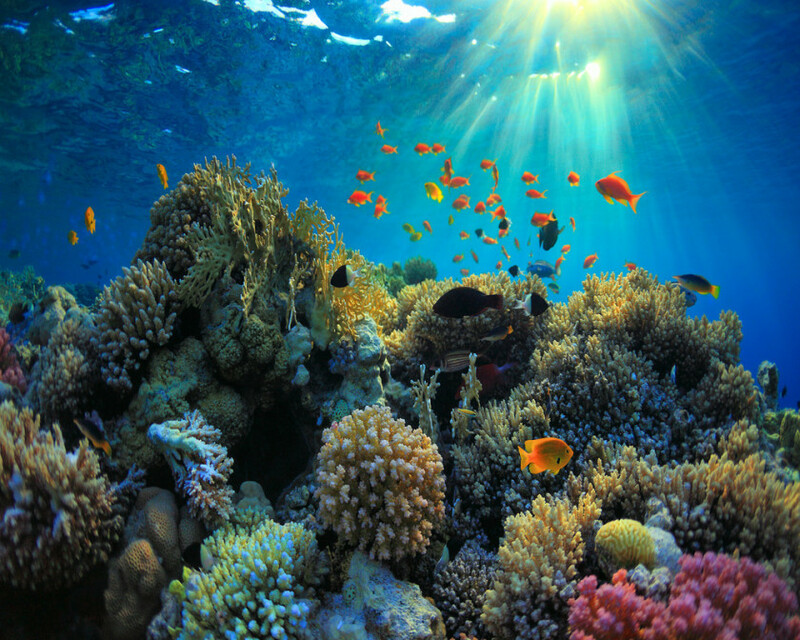 Experience is the key to developing the awareness for the marine environment that becomes a love and resolve for protecting and preserving this most vital of natural resources. 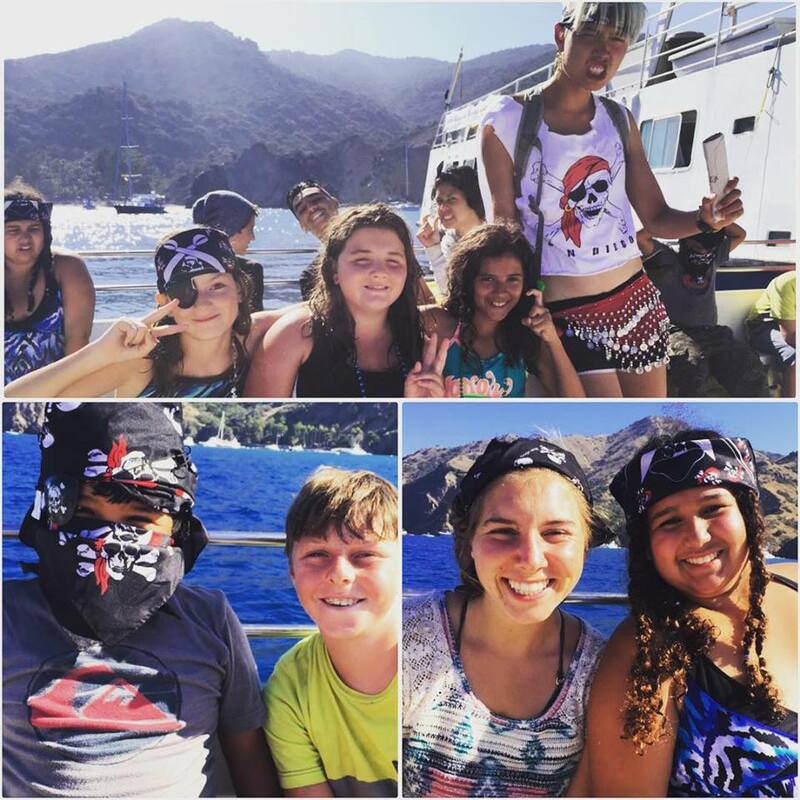 Students stepping off the ferry and coming to MSA camp at Emerald Bay, Catalina Island. One of the most important things a good scientist does is observe. Observation is instrumental in making discoveries about the natural world. With careful and deliberate examination, a scientist can uncover the mysteries of how nature operates. Since children are excellent observers, science is innately interesting to them. As a teacher, you can provide your students with opportunities to learn about the environment simply by exposing them to it. 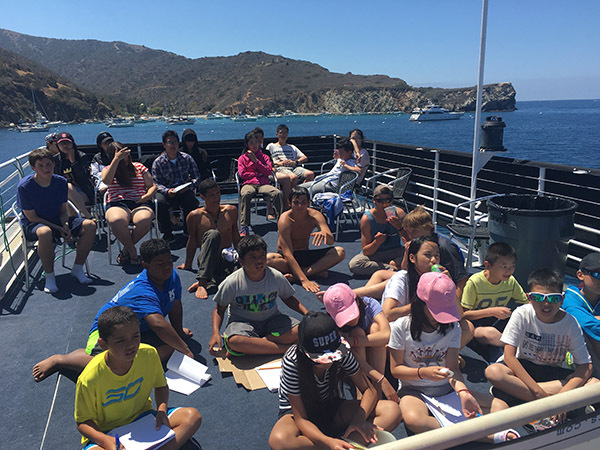 When your students attend our marine biology science camp, they will learn about the environment on and around Catalina Island. To prepare them for their visit, you can guide them to start thinking like scientists. One way you can do this is to ask them questions to pique their curiosity about what they will see while they attend the camp. What kinds of species do they think they will see? What types of behaviors will they potentially observe? Why do they think the animals behave in those ways? What do they most hope to learn about while at camp? The more you get your students questioning, the more they will want to learn. Fueling students’ natural desire to know about their surroundings is the best way to help them want to keep learning. You might also do a class project about a topic related to marine biology before your class attends the camp. 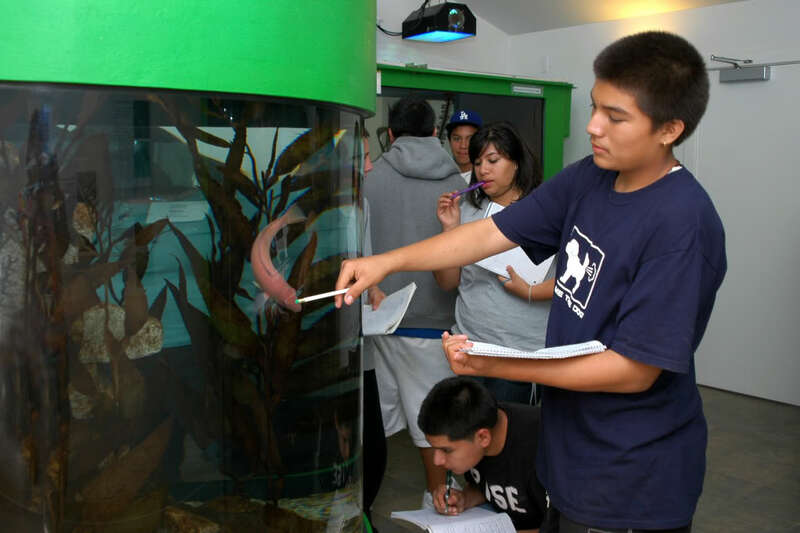 Incorporate mini-lessons around a theme connected to topics they’ll learn about at camp, and your students will learn academic skills as well as want to keep learning about marine biology. 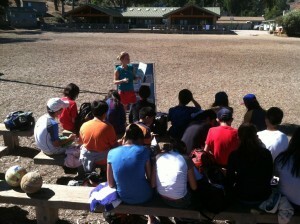 When your students arrive at marine biology camp, they will get to see in person what you’ve been discussing in class. They will be ready to ask questions about their natural environment, to observe, and to make hypotheses about what they see. Asking good questions to guide observation is important for scientists, and with some preparation, your students will be ready to make the most of their visit to the island. They will be able to work as scientists do to conduct their own field research and to answer their own questions about nature. Student points to a female Sheepshead fish at the aquariums at MSA’s camp at Emerald Bay, Catalina Island. Environmental stewardship is taking responsibility for the environment to improve its quality when affected by the actions of people. The important concept is the sense of shared responsibility or put another way, to take care of one’s home. Relating it in this way makes it easier to understand because it appeals to a basic sense of duty. These feelings can be enhanced by creating a sense of appreciation and gratitude. These are strong emotions that can be harnessed by youth leaders to motivate children and adolescents. Environmental stewardship involves fostering the development of several core values and beliefs. A sense of all humans being a part of the environment is essential. The actions of people can have impacts both locally and globally. For children, it is also important that they understand their future role as stewards of the environment. To engage children and adolescents in environmental stewardship, it is helpful to consider what motivates children in general. One way to do this is to foster a sense of gratitude. A study by Jeffrey Froh and colleagues found that following a gratitude program encouraged children to help others and use their strengths to help society. Researchers also found that the positive outcomes of a gratitude practice lasted beyond the teaching period. These findings suggest that an appreciation for the environment can be a long-term practice for youth. Another way to engage youth involves tapping into the emotions already instilled in them. Another study by Froh and colleagues looked at the attitudes of kindness and appreciation in children 5 to 10. The participants named five acts of kindness. The common theme among all ages was the act of helping an injured friend. Children aged 5 to 6 also cited helping to clean as an act of kindness. With older children, empathy and an increasing sense of appreciation became apparent. This study suggests that the motivation for doing kind acts exists in children. The job of educators and youth leaders is to steer these innate feelings to the environment and strengthen the connection with appreciation. 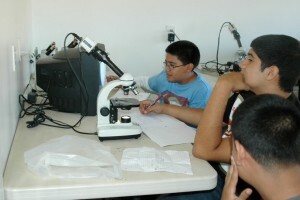 Campers look at live samples of plankton taken during the trawl in their previous activity. 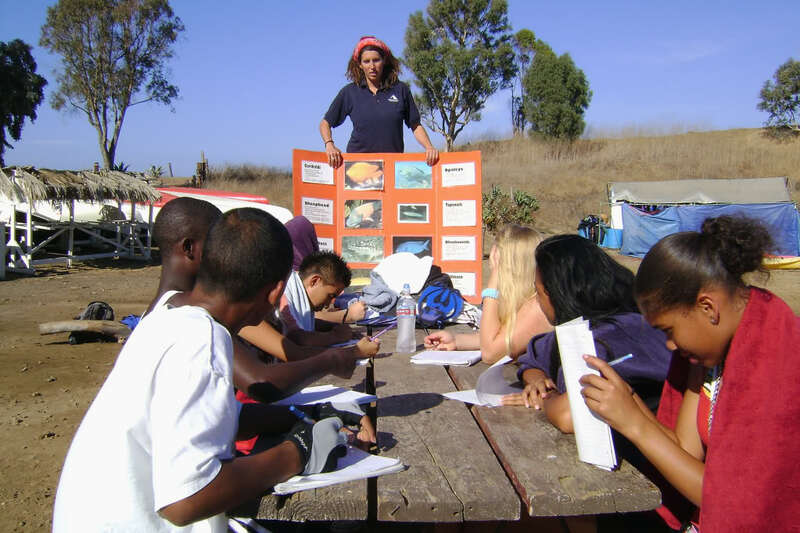 There are several ways that educators can motivate youth to engage in environmental stewardship. Hands-on activities give children the chance to examine nature up-close. These activities can include anything from simple clean-up projects to long-term activities such as monitoring stream conditions. Putting children in charge of these types of tasks creates a sense of ownership and self-monitoring. It is also essential for children to understand the impact of everyday actions. Practices such as recycling or litter clean-up help youth understand that they can have a positive impact on the environment. Stewardship of a project like a rain garden helps children see the effects of their actions, further empowering them. The key is showing children their actions have a direct impact on the environment. The North East Trees of Los Angeles offers a good example of using environmental stewardship to reach at-risk-youth while providing skills that can lead to future employment. Founded in 1989, the program’s mission is simply stated: “To restore nature’s services in resource challenged communities, through a collaborative resource development, implementation, and stewardship process.” The organization has made many accomplishments. During its tenure, members have planted over 90,000 trees and built over 35 parks, mini-parks, trails, street and access gateway improvements while employing hundreds of youths. The Thorne Nature Experience in Boulder, Colorado teaches core values of environmental stewardship while also fostering inclusiveness and leadership among youth. Founded in 1954, the organization has reached out to more than 250,000 children and adults. 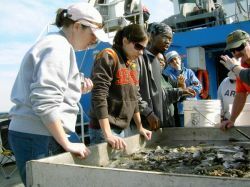 Programs focus on education and strategies for solving environmental problems. It is a leader in environmental organizations and has helped create other agencies, such as The Colorado Field Office of The Nature Conservancy and the Audubon Society of Greater Denver. It offers a wide variety of programs, including summer camps, in-school programs, and special programs like its Bird Banding Club for youth ages 11 to 15. Since its founding in 1951, the Nature Conservancy has broadened its scope of environmental stewardship to 69 countries. Its values of non-confrontational, pragmatic solutions based in science can easily be incorporated in youth programs. Among its accomplishments is protecting over 119 million acres of land and thousands of miles of rivers. 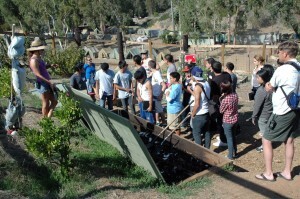 The organization empowers educators and thus, youth, through several programs. In 2015, for example, the Nature Conservancy awarded grants to 50 schools to develop school gardens as outdoor science learning labs. They give a hands-on learning opportunity for youth to understand environmental goals such as increasing biodiversity and improving pollinator habitat. Projects like these give youth the opportunity to practice good environmental stewardship at school. The organization also runs a youth internship program called Leaders in Environmental Action for the Future (LEAF). Besides providing opportunities to engage in science-based environmental stewardship, the program helps adolescents improve their self-confidence and sense of independence for benefits that go well beyond the environment. By tapping into the psychology of youths, educators can engage young people in environmental stewardship programs that offer benefits outside of the classroom. Children can learn to appreciate the environment and the role they play in it both in the present and the future. “50 Schools across Nation Receive ‘Nature Works Everywhere’ Grants | The Nature Conservancy.” 50 Schools across Nation Receive ‘Nature Works Everywhere’ Grants | The Nature Conservancy. The Nature Conservancy, 11 Jan. 2016. Web. 11 Mar. 2016. Froh, Jeffrey J., Giacomo Bono, and Robert Emmons. “Being Grateful Is beyond Good Manners: Gratitude and Motivation to Con.” Tribute to Society among Early Adolescents. Motivation and Emotion, 30 Apr. 2010. Web. 11 Mar. 2016. Schwartz, Carolyn E., PenelopePenelope M. Keyl, John P. Marcum, and Rita Bode. “Helping Others Shows Differential Benefits on Health and Well-being for Male and Female Teens.” R Male and Female Teens. Journal of Happiness Studies, 15 Apr. 2008. Web. 11 Mar. 2016. 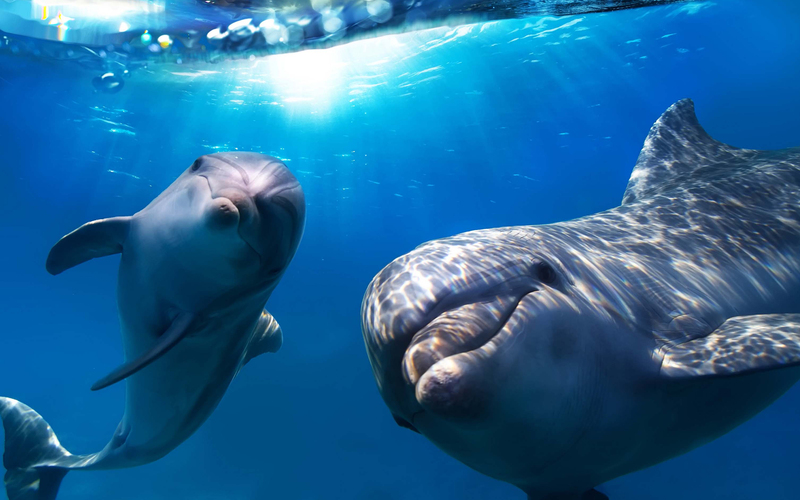 Your ticket for the: 5 Fun And Incredible Facts About Dolphins!